The annual Scottsdale auctionpalooza came to a close on Sunday, with the seven auctions tallying $251m, the fourth highest take ever for these sales. Unsurprisingly, seven out of the top-10 sales for the week were Ferraris. Two of those were 1985 288 GTOs, including the highest ever paid at auction for this model, $3.36m. This was a PFS preview car, and also on Premier’s West Coast Sales Manager Juan Garcia’s “Cars to Watch” list. The 2019 Ford GT Heritage and the first 2020 Toyota Supra were auctioned to benefit charities. 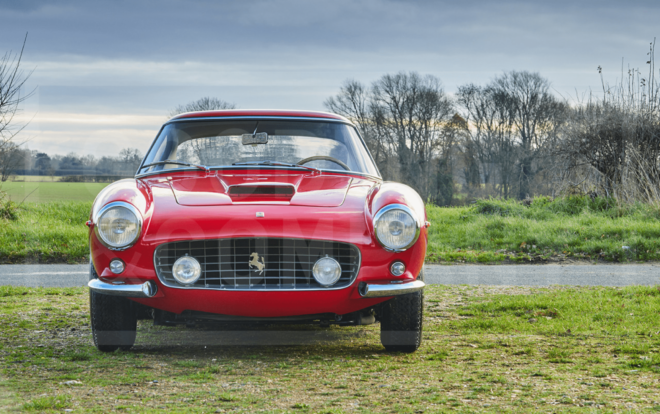 Take those out of the list, and Ferrari would have had two more spots: a 1952 212 Europa coupe for $1.93m and a 1963 250 GT Lusso for $1.9m (both from Gooding). The overall sell-through rate for the Scottsdale auctions, Hagerty reports, was 81 percent, down a bit from last year’s 84 percent. Significantly, though, for vehicles above $1m, sell-through was 48 percent, a significant dip from last year’s 68 percent. One can perhaps see that trend reflected in several notable Ferraris that went unsold: a 250 GT Coupe Speciale with $11m-$13m pre-sale estimate and 2017 LaFerrari Aperta with $6.5m-$8.5m pre-sale estimate (both RM Sotheby’s); a 1964 275 GTB prototype, estimated to bring $6m-$8m, and a 1953 250 MM Spider that had been projected to bring $5.5m-$6.5m (both at Gooding). It should be noted that Ferraris took the first six of Gooding’s top-10. Interestingly, these were followed by just two other marques: a Mercedes 300 SL Gullwing ($1.435m), a 1964 Shelby Cobra 289 ($1.05m), then a 1957 Mercedes 300 SL Roadster ($1m) and another 289 Cobra ($912k). Notable highlights from the Barrett-Jackson sale include $1.457m for a 2019 McLaren Senna, $1.2m for a 2017 Mercedes-AMG G63 6×6 (in the U.S. on a show and display permit), and $918,500 for a Lexus LFA Nurburgring Edition. Sold for $3.36m (pre-sale estimate: $3.2m-$3.6m). Originally planned as a rally car, the 288 GTO found its way to the road after the infamous FIA Group B was canceled. A collaboration between Mercedes and its Formula One partner at the time, McLaren, the SLR McLaren sold new for $500k. Less than 2,200 built versus an original projection of 3,500. Bedecked in strakes, wings, and air-box intakes, the final-edition Countach was the most ostentatious of the series, and also the fastest. The second year of a fairly significant evolution milestone with the base T model, upgrade E and high-performance S each featuring its own version of a new 2.4-liter version of the familiar six-cylinder boxer engine. Sold for $95,200. Selected by Northeast Sales Manager Keith Neelans. Recent restoration in factory-correct Grigio Grafite over Red Elvezio. Lot 13: 1991 Porsche 911 Turbo. Sold for $123,200. Selected by West Coast Sales Manager Juan Garcia. One of 674 shipped to the US. Sold for $198,800. Selected by Southeast Sales Manager Chris Warren. The family Ferrari long before today’s GTC4 Lusso. Sold for $173,600. Selected by Southwest Sales Manager Michelle Yancey. A descendant of the acclaimed 356 Speedster, this one had less than 3,800 miles. Not sold (pre-sale estimate: $800k – $1m. Selected by Premier’s Corporate Headquarters. The first car to wear the Bugatti badge in 40 years. Just 139 of were made before the company folded in 1995, and before a prosperous new life under the VW Group. Still for sale. Selected by Northeast Sales Manager Keith Neelans. Sold for $3.36m(pre-sale estimate: $3.2m-$3.6m).Selected by West Coast Sales Manager Juan Garcia. (Also a PFS Preview car.) Highest price paid for a 288 GTO at auction. Sold for $151,200 (pre-sale estimate: $175k-$225k). Selected by Southwest Sales Manager Michelle Yancey. Highly desirable triple-carburetor 427 cu. in., 435hp big-block V8 with 4-speed. Sold for $252k (pre-sale estimate: $250k-$300k). Essentially a street-legal version of the Carrera Cup model. Originally delivered in Japan, now legal in the U.S. The V8-powered design masterpiece by Count Albrecht von Goertz, and super-rare with just 252 made. Lot 44: 1990 Lamborghini Countach 25thAnniversary (also a PFS preview car). 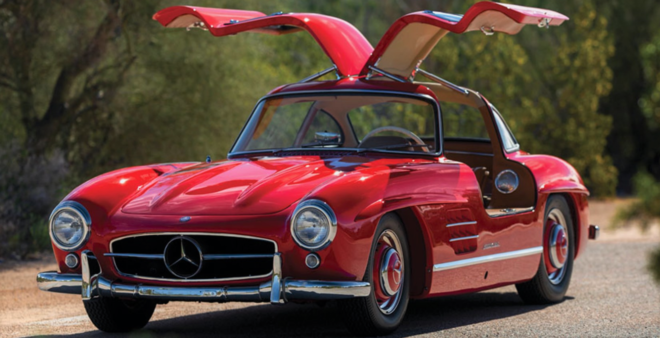 Lot 39: 1955 Mercedes-Benz 300 SL Gullwing. Sold for $1.435m (pre-sale estimate: $1.1m-$1.4m). Selected by Southwest Sales Manager Michelle Yancey. Ordered new by Herbert von Karajan, Famed Austrian Conductor of the Berlin Philharmonic. With 200m records sold worldwide, he could certainly afford it. Make Offer price: $485k. Selected by Northeast Sales Manager Keith Neelans. Same owner since 1968, and with a trophy case full of awards. Sold for $151,200 (pre-sale estimate: $150k-$200k). Selected by Southeast Sales Manager Chris Warren. Painted in Giallo Modena (yellow), with lots of special-order options and 15,800 miles. 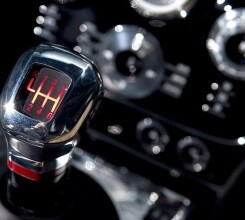 Best of all — a 6-speed manual transmission! Sold for $425,750 (pre-sale estimate: $425k-$475k). Selected by Premier’s corporate headquarters. A U.S. delivery model with under 31,500 miles and owned by the same family for 50 years. 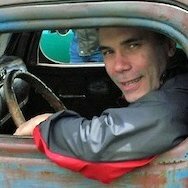 Featured on Chasing Classic Cars. The team at Premier have been attending exotic and vintage motorcar auctions for more than 20 years, There are only a few auction-related “do’s and don’ts” that people need to know. Notably, you don’t have to be a millionaire to bid on a car. Although these auctions attract a well-heeled crowd, there are cars on the block in all price ranges, and there are always some great potential bargains if you have a deep understanding of the car you’re bidding on.” Read more here on auction basics and the Tip and Tricks and a Bit of Auction Etiquette.